Fly to beautiful Santorini to marvel at red volcanic beaches, or hop over to Malta to see a bright orange sands. Cuba is supplying bright white sands for traditionalists, but if you’re feeling futuristic you should pop to the Maldives to watch bioluminescent sands light up before your eyes. Proving you don’t have to travel far for an incredible beach, Malta is home to many jaw-dropping stretches of beach and a few even have Blue Flag status. 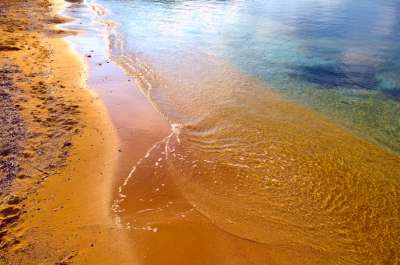 For something a little more unusual head to Ramla il-Hamra Beach on the island of Gozo, where the sand is a stunning orange. There are so many beautiful, bright white beaches in Thailand, so you’ll be able to take your pick! 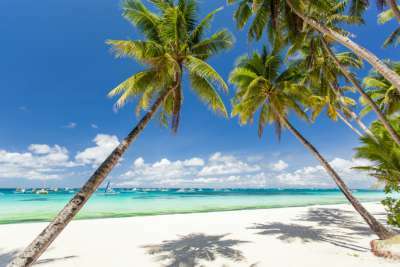 Choose from the popular and lively Patong beach in Phuket, the famous paradise setting of The Beach in Ko Phi Phi Ley, or the private and peaceful Koh Mun Nork. Auckland's rugged landscape is extremely beautiful, trimmed with dark black sand beaches and large, rough waves. Visit Piha to surf the Tasman's waves, or settle down for a relaxing picnic. 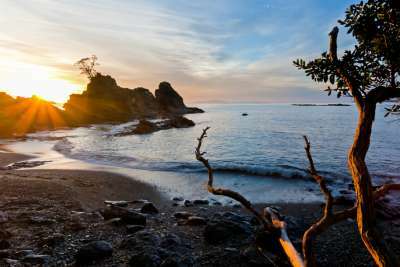 For a little more privacy try peaceful Karekare beach and take in its unspoilt beauty. Santorini is probably best known for its black volcanic beaches, but the island is also dotted with incredible beaches of a deep, rich red. Take a boat trip out to visit a stretch of red beach and swim in the warm volcanic waters around them, naturally heated by sulphur. 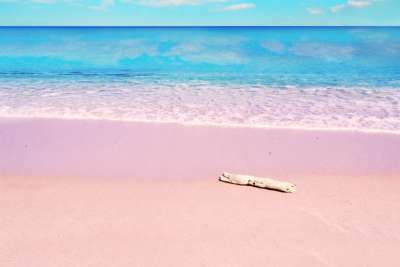 This gorgeous island is dotted with light pink beaches. Cala Ginepro beach is covered by fine sand, with shallow and clear waters and pink granite rocks. Head to Petra Ruja Beach to lay on pink sand formed from crushed seashells, and swim in the crystal clear sea. 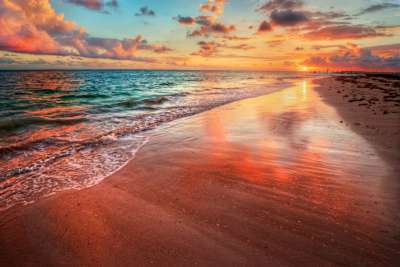 Hawaii is home to one of only two green sandy beaches in the entire world! 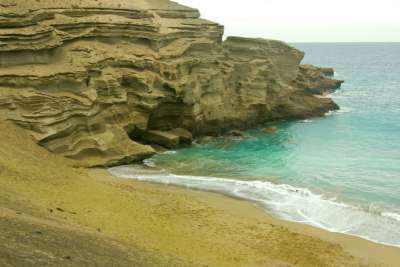 Papakolea Beach has an unusual green hue due to olivine crystals formed during volcanic eruptions, and there are numerous other colourful beaches on the island thanks to volcanic activity. 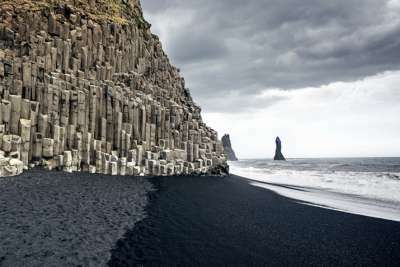 Iceland has its fair share of beautiful jet black beaches, one of the most remarkable being Reynisfjara beach on the southern coast. This expansive beach offers a long stretch of dark black sand and sits in the shadow of the unusually striking Mount Reynisfjall. You can’t talk about beautiful white beaches without mentioning Cuba! There are countless pure white stretches of beach to choose from, and one of the most popular is in Varadero. For something more remote and peaceful, try Cayo Levisa. For a truly memorable trip to the beach head to California for a visit to Pfeiffer Beach. The sand here appears in patches of violet, showing a more vibrant colour towards the north of the beach. Eroding garnet in the hills surrounding the beach has washed down onto the sands, giving the sand a beautiful colour! 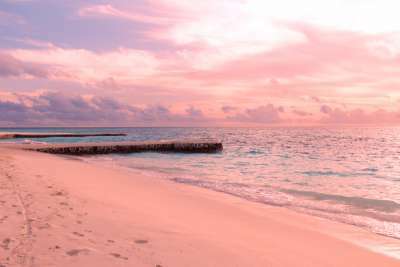 For a beach that is out of this world, in a science fiction sense, pack your bags for the Maldives! 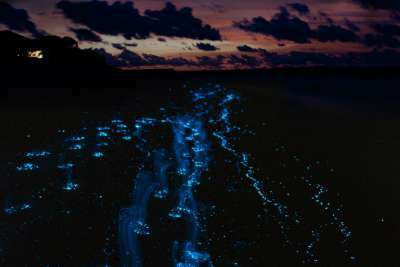 Some beaches here are home to bioluminescent crustaceans which wash ashore to create a glow-in-the-dark ‘firefly’ effect. The contrast of blue light against the sand creates a futuristic glow that must be seen to be believed.